If you like the freedom of the outdoors but don't want to sacrifice the privacy and safety of an indoor venue, then the Vitabri Zippered Wall for AirDome Canopies is the right product for you. 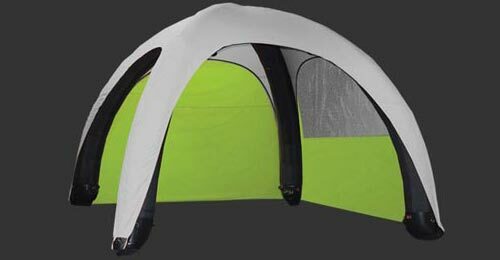 Compatible with AirDome Canopies, the Zippered Wall boasts the same 600 denier polyester material as the canopy. Protect yourself against wind, water, and UV rays with the updated polymer coating, and enjoy the mobility of the Zippered Wall's easy-to-fold design. Both the Full Wall and the Wall with Window options come in a solid color design, so matching with the AirDome Canopy won't be a problem. Available in 3 different sizes.